For the second straight tournament the Scottish midfielder garnered her team-mates vote as the MVP. In addition her work ethic and determination caught the eye of the referee who named her the overall tournament MVP. As ever Carrie battled hard in the air and on the ground and even took a turn in goal where she distributed the ball well to team-mates. On the offensive end of the field Carrie notched a goal and five points demonstrating her all-round ability. 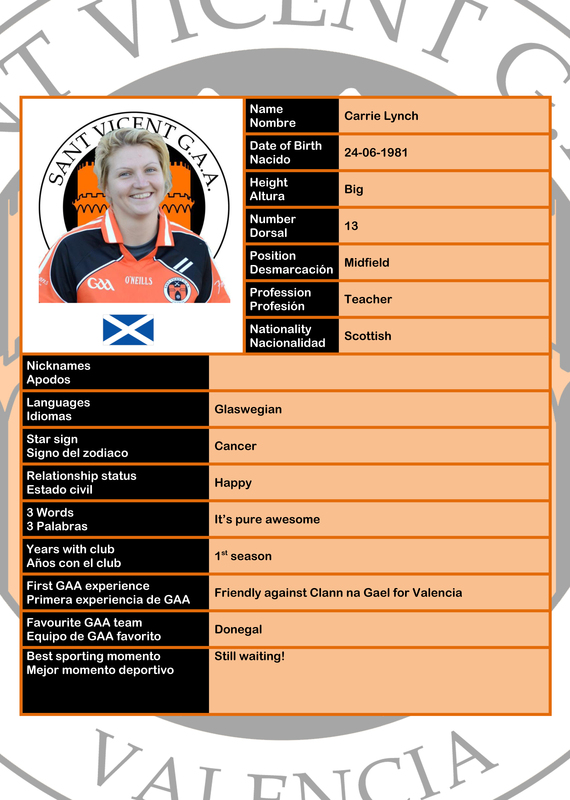 She will look to carry her form into the home tournament next month as the Valencia ladies continue their rise. The first-year native of Valencia had another solid performance in the forward lines for the Orange and Black and deservedly received the praise of the team. Following a very strong first outing in Seville in February, Robbie has continued to develop his game and has one of the safest pairs of hands on the team. In Saturday’s performance he again demonstrated his ball-gathering abilities and his desire to attack. As he makes the move to Switzerland, his passion and commitment to the team will be greatly missed and we all hope to see him back in the Orange of Valencia soon.